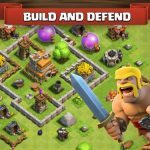 Yes, we’ve got more Clash of Clans tips and tricks for you, and this time we’ll be talking about resource buildings. 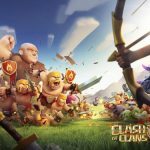 Clash of Clans, of course, is the wildly popular iOS and Android game from Supercell that puts you in charge of building your own village, training your own army, and joining Clans while fighting rival ones off. It is quite an elaborate and intricate game and it may be a bit overwhelming for newbies. But if you’ve read our previous tips and tricks lists, you’ll find out that it’s not that hard after all to succeed in this game. 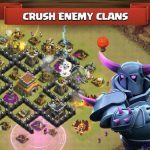 So without further ado, let’s bring you a couple of Clash of Clans cheats, tips and tricks for resource buildings. You can upgrade Gold Mines up to Level 11, and obviously, these resource buildings are there to keep you in the money. When it comes to positioning your Gold Mines, place them outside your fort walls, as enemy units often get thrown off by seeing all that extra gold. And when attacking an opposing Gold Mine, the best way to do this is with ranged units. Additionally, you want to be sure they aren’t full, as gold that overflows is lost forever. Now, where do you keep the gold from the Gold Mines? The Golden Storage buildings, that’s where – these too can be upgraded up until Level 11. You can store a maximum of 2,000,000 gold in a fully-upgraded Gold Storage building. 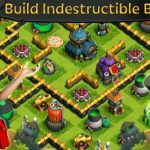 It’s best to put up these buildings near stronger defensive structures, as this will keep your opponents busy – maybe too busy, as it’ll take them quite a while to take them down. A Builder Hut can house one Builder whenever producing within your fort. The first is free, as you probably may know, but you’ll need to spend gems for the second, third, and fourth Builder Huts you can keep within your fort. Place them near your walls, and when attacking opposing Builder Huts, you’ll want to have some Barbarians or other powerful units to take care of that. You can level the drills up until Level 6; they will save whatever Dark Elixir is collected from an underground reserve, and it wouldn’t hurt for you to spend some Gems to speed up their production. And while it may be common sense to have your Dark Elixir Storage buildings store the elixir collected from the drills, some have suggested raiding opponents for Dark Elixir and placing it in the storage units instead. Not to be confused with Dark Elixir Drills, Elixir Collectors also gather elixir from an underground reserve. This time, though, you can level them up to Level 11. Likewise, you can speed up production with Gems, and when it comes to placement, set them up outside of your walls in order to distract your enemies. The Elixir Storage buildings can also be leveled up to Level 11, and also should be strengthened like Gold Storage buildings and used as a means to distract enemies and keep them way too busy for their own good.